Learnings and reflections from Extreme Programming Conference! Alvin Toffler, renowned American author, known also for his works discussing the "Digital revolution" once said "The illiterate of the 21st century will not be those who cannot read and write, but those who cannot learn, unlearn, and relearn." At outset of my career I chose not to be modern illiterate :) hence I keep learning aggressively whenever I get chance, keep unlearning what is not relevant and keep relearning stuffs whenever required. With learning as a prominent goal in mind, I had a hectic but really productive learning weekends recently. It started with two days' workshop (24-25th July) on "High Impact Presentation" by Dale Carnegie Training conducted by Mindtree. Then two days' workshop (8-9th August) on "Extreme Programming Conference" by industry experts again conducted by Mindtree and finally attended "Judges Training Program" on 10th August conducted by Toastmasters International. Out of these trainings I underwent, I thought it's my duty to share the knowledge I gained particularly from " Extreme Programming Conference" (http://www.xpconference.in/) since it was Mindtree who gave me the opportunity to attend it and it would be relevant for most of you (needless to mention that you can contact me directly if you want me to share my experiences on other trainings as well :) ). I think it’s enough for we developers to know the terminology, rest we all are expert to dig into it with our Google god J. Hence, I will at least try to share all the terminologies that I learnt in this mail and references wherever possible. 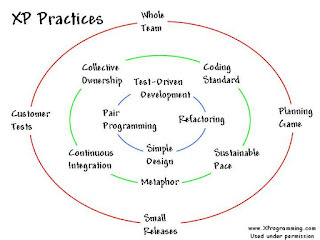 eXtreme Programming is one of the agile software development method which is leveraged to improve software quality and responsiveness to changing customer requirements. It advocates frequent releases in short cycles to improve productivity. c. Feature based trunk development instead of using branches. d. Every change to the system should be releasable. Should release any version at the push of a button. e. Never opt for branch based development, rather user trunk based. 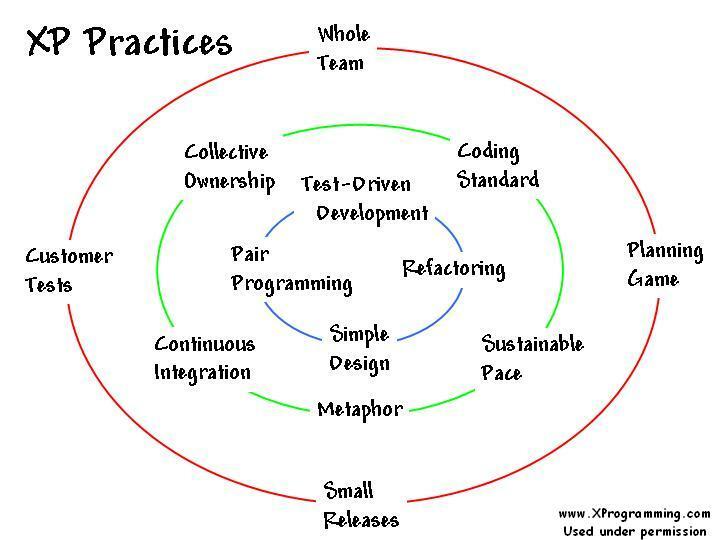 They are also called Packaged Geek in eXtreme Programming. i. Instead of branching, features should toggled on and off, as per requirement. Question - We should get rid of branching practice. Branching there are changes which may impact multiple places like presentation logic changes etc. ii. As soon as a feature is released, get rid of it. Cloud Platforms adding Strength to Digital Solutions! Cloud Platforms are getting stronger and humongous day by day. The two prominent cloud platforms that I got chance to work with and arguably the Market leaders - Microsoft with its Azure Cloud and Amazon with its Amazon Web Services (AWS), has a long list of services now offered through Cloud Platform. You can build Infrastructure, develop Web Apps & Mobile Apps, manage identity and access, do analytics, Internet of things, Database, IDEs and what not. Infrastructure requirements – We opted for Azure VMs & Active Directory for managing servers. Every Digital WCM needs good amount of server resources, at the least 8 servers – Author and Publish instance for each DTAP (Dev, Test, Acceptance & Prod) environments. And if WCM is like Tridion, number may be more than double to support Dedicated Publisher, XPM and SmartTarget environments. 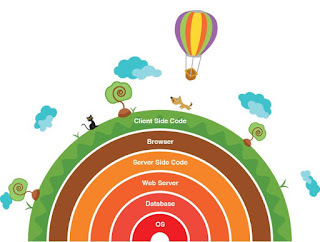 Add to it another commonly used product for enterprise search like Solr, additional one server for each DTAP servers. Then add some DR servers and clustered servers for production. Did you realize, I have already reached to count of 40 servers . Managing these many servers can be efficient only on Cloud. Cache dynamic content – Its important that all the data being fed to Digital system is cached, it increases performance vastly. I have seen people caching static files and pages but forgetting the dynamic data, which becomes problem later on. Continuous improvements are going in Caching mechanisms, hence There are multiple option for Cloud Cache even from single vendor Azure, it has AppFabric, Managed Cache and Redis. We opted for Managed Cache, however Redis is the way forward. Cache static files - We opted for Azure CDN with origin server as Azure Storage to provide this solution. No Digital solutions now can live without CDN. Static files form huge chunk of the whole solution for any Digital System. No customer are now ready to bear the latency of static files at any of their location due to non-availability of CDN. Email solution – Traditional emails servers are hard to manage and sometimes even not easily compatible with Cloud Platforms, hence we opted for cloud based email solution called SendGrid. it had seamless integration with Azure servers. Azure Active Directory – Offers Single sign on facility, works with multiple platforms and devices, supports multi factor authentication. The list of Cloud offerings for Digital platform is too long, but I have listed only those which I had used in the recent Digital Transformation. Thank you!